I’m much more constructive when I work in a clean, organized, and bright environment. It’s not all that surprising, but I’ve found that there’s a definite correlation between a room’s aesthetic and my level of productivity. Clutter and mess hinder my creative process and seriously diminish motivation... But give me some fresh flowers and natural light, and I’m a blog-post-writing machine. Simply said: The prettier the workspace, the more I get done. That’s why I’m so excited to have discovered WallPops . They can transform any space in minutes—which is why they&apos;re so perfect for sprucing up homework stations and decorating dorm rooms. WallPops is the premier line of peel-and-stick wall art. 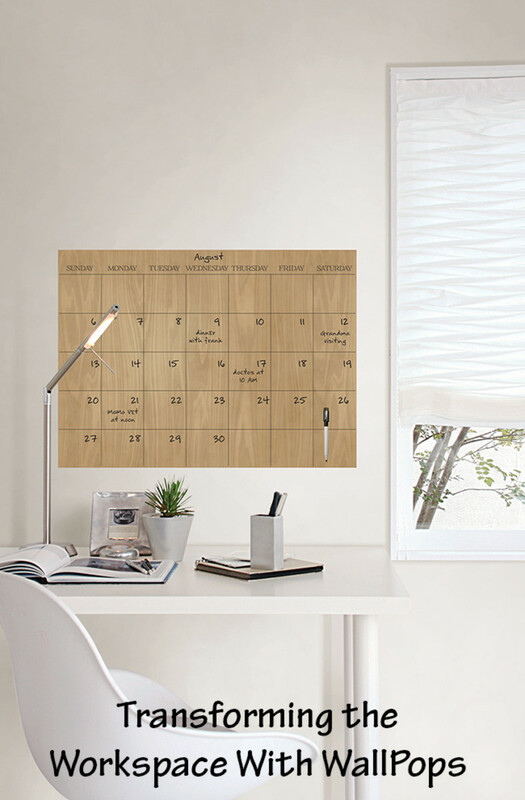 With easy-to-use photo frames, decorative wall kits, oversize message boards, dry-erase calendars, and more. There are countless products to keep kids (and grownups!) organized in a nice, neat, nifty, and, yes, pretty way.